The 20-cent Rainbow 6 jackpot was hit for the second consecutive day at Gulfstream Park, rewarding one bettor Friday evening a $20,316.70 jackpot. On Thursday, the popular multi-race wager was hit by a bettor in Maine for $436,076. Friday's winning numbers were 7.4.3.6.1.7. Alls Well, the only live ticket in the last race, came home a winner at 5-2 and also provided jockey Tyler Gaffalione with his third win of the program. The Rainbow 6 carryover jackpot is paid out only when there is a single unique ticket sold with all six winners. On days when there is no unique ticket sold, 70 percent of that day's pool goes back to those bettors holding tickets with the most winners while 30 percent is carried over to the jackpot pool. The Rainbow 6 will start anew Saturday. First race post is 12:45 p.m. The sequence will include the $50,000 Added Elegance and three turf races, one a maiden special weight event. 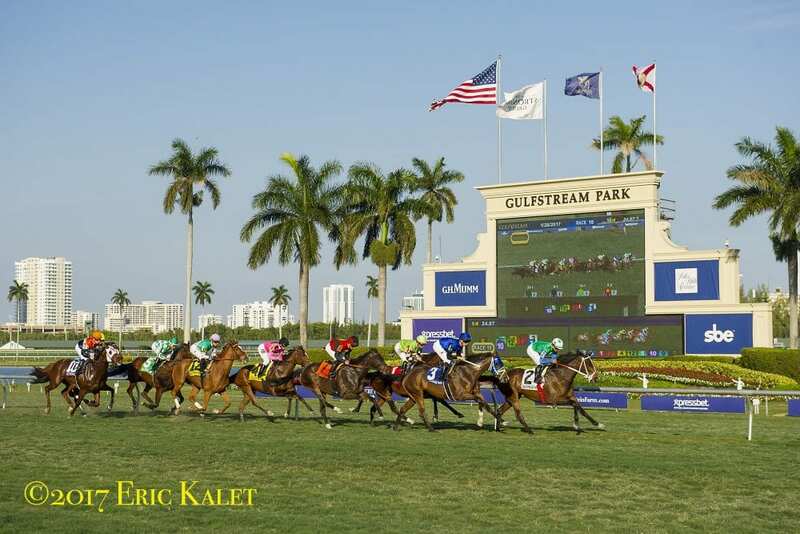 This entry was posted in Horseplayers and tagged Gulfstream, gulfstream park, gulfstream park rainbow 6, gulfstream rainbow 6, gulfstream rainbow 6 carryover, jackpot wager, Rainbow 6, rainbow 6 jackpot, rainbow 6 payout, Tyler Gaffalione by Press Release. Bookmark the permalink.